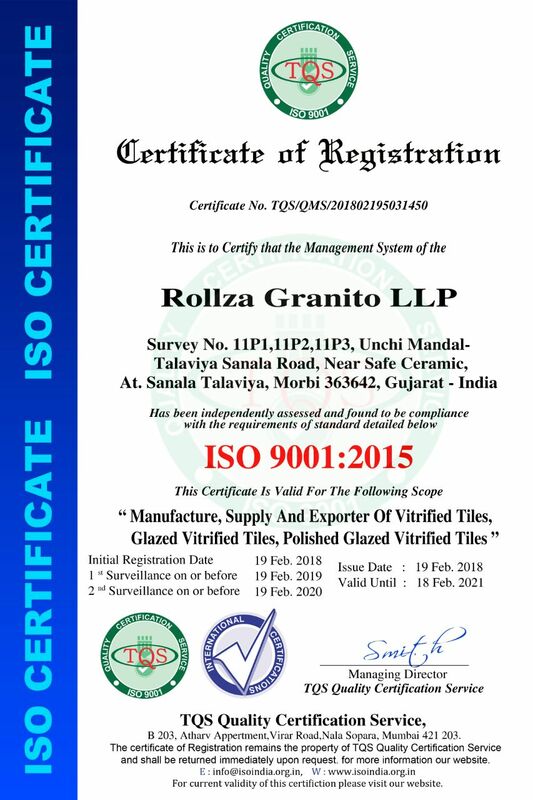 Rollza Granito LLP is committed to manufacture and supply product of consistently high and reliable quality to meet and / or exceed the customer's expectation and special needs with accepted international standards of Quality, Safety and Reliability. 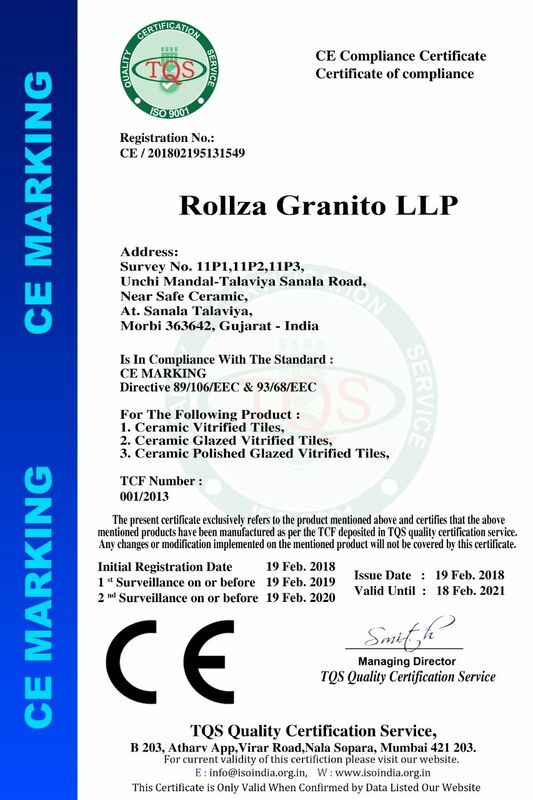 Rollza Granito LLP all products have warranty to the consumer against defects in material & workmanship. 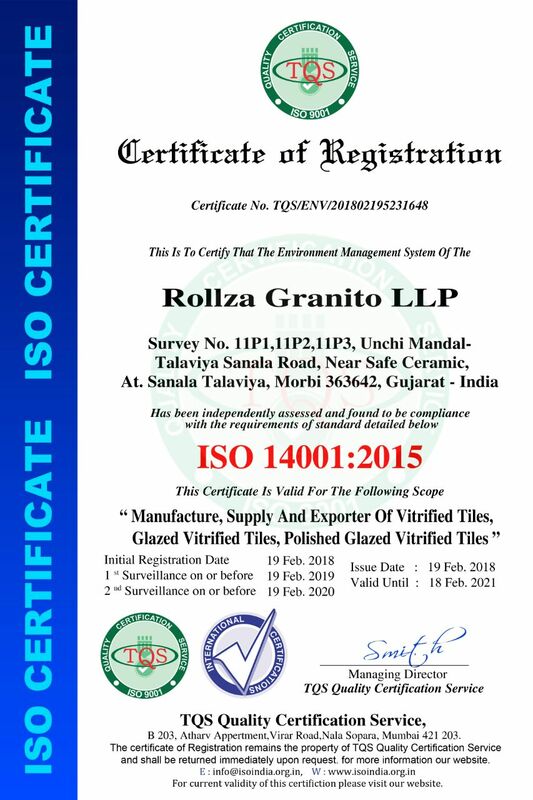 Rollza Granito LLP will replace, free of charge during this warranty period, any tile that proves defective in material and / or workmanship under normal installation, use & service. 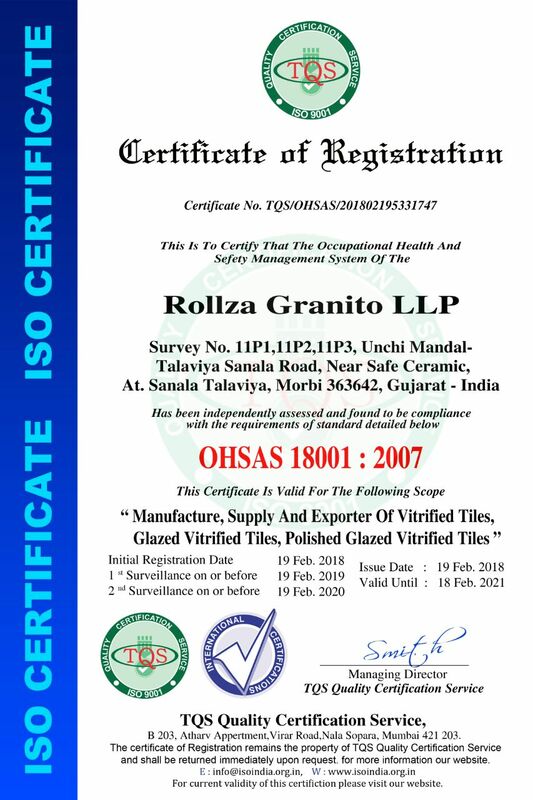 Replacement tiles can be obtained from local authorized Rollza Granito LLP dealer or distributor. 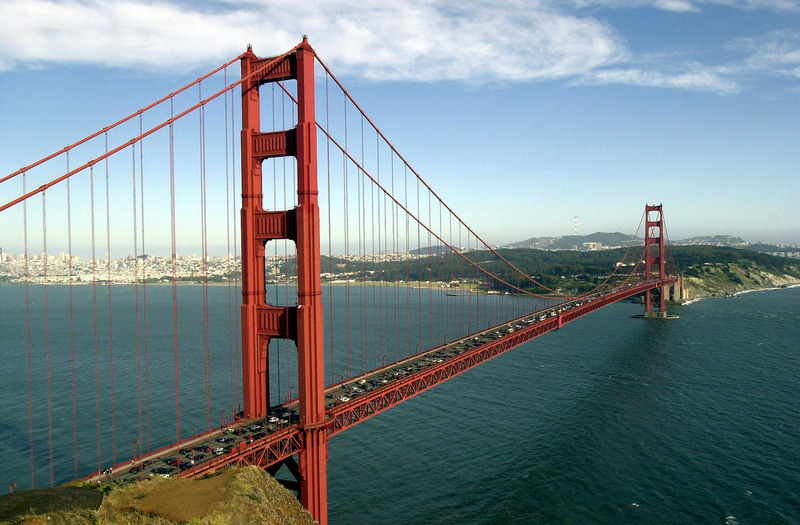 Staff will be happily available to offer advice on any Inquiry.